In 1923, Albrecht Schnizler constructed the first hand-held drill. The name Metabo is derived from this metal drill. Today, the company with tradition employs 2,000 persons, 1,200 of which in Nürtingen, Germany. 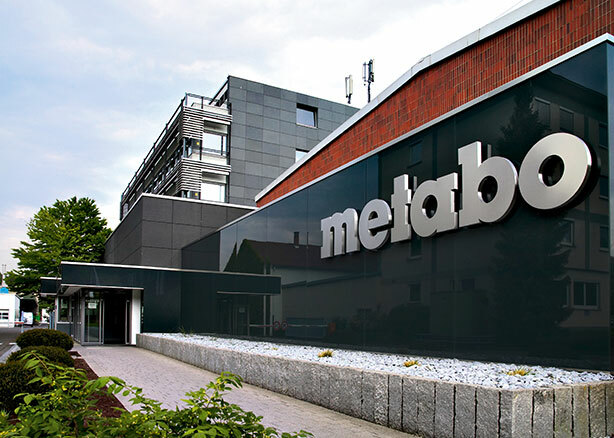 25 subsidiaries and more than 100 agencies ensure that Metabo's premium solutions can be found in almost all countries. Development of the first electrical hand-held drill: The legendary Metabo no. 750 with 120 Watt power output, drill capacity 6.5 mm, speed 1,200 rpm. The Metabo type 76108/10 is the first impact drill manufactured in large series. Back then it cost a month's salary. 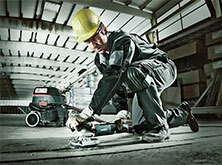 The first angle grinder with the new Metabo S-automatic safety clutch is introduced. The first impact drill with electronic speed control is introduced to the market. Development of the first 1,000 Watt impact drill with constant speed under load. 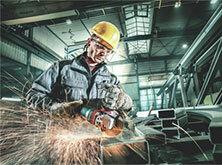 The first angle grinder generation is equipped with the Metabo Marathon motor. Metabo creates the new category of the compact cordless screwdrivers with the "PowerGrip®“. Metabo changes its battery pack range to Lithium-ion technology. Metabo presents a complete range for processing stainless steel. Metabo sets new standards in metal processing with the world's first cordless magnetic core drill and a cordless Inox range. The world's first battery pack with 4.0 Ah and Ultra M-technology opens up new dimensions for cordless power tools. Metabo develops a 5.2 Ah battery pack - at that time the most powerful battery pack in the world. Introduction of the new generation of compact angle grinders with a power of up to 1,700 Watt. LiHD: A milestone in battery pack technology. Makes applications possible, which had previously been reserved only for powerful mains-powered machines. Introduction of the world's first large 36 V cordless angle grinder with a 230 millimetre disc diameter and delivering the performance level of a 2,400 Watt mains-powered machine. Metabo provides the user ultimate freedom for his cordless construction site. Introduction of the new LiHD battery packs with 4.0 Ah and 8.0 Ah. LiHD: The most powerful battery pack technology of the world: from 400 to 3,200 watt. The combination of new high-performance battery cells and completely re-developed components within the LiHD battery pack ensures maximum power availability over an extremely long run time.